What do you think of Potsdam? I ship her and Grabiner! Didn't see enough of her to form an opinion. I hope I spelled her name right. On Donald's route she was actually pretty cool, but when I did a no spell run or Ellen's path she really got on my nerves. She is a colorful character who seems almost close-minded when you didn't agree with her views. Sure, she was the cool teacher who let you mess up and prank the class, but sometimes I feel like she was trying to put Mary Sue (The default name) into uncomfortable situations. What do you think of her character? Easily the series' shadiest character so far. There's absolutely no question that she's evil, or at least amoral. The question is what she's after. themightydoof wrote: Easily the series' shadiest character so far. There's absolutely no question that she's evil, or at least amoral. The question is what she's after. 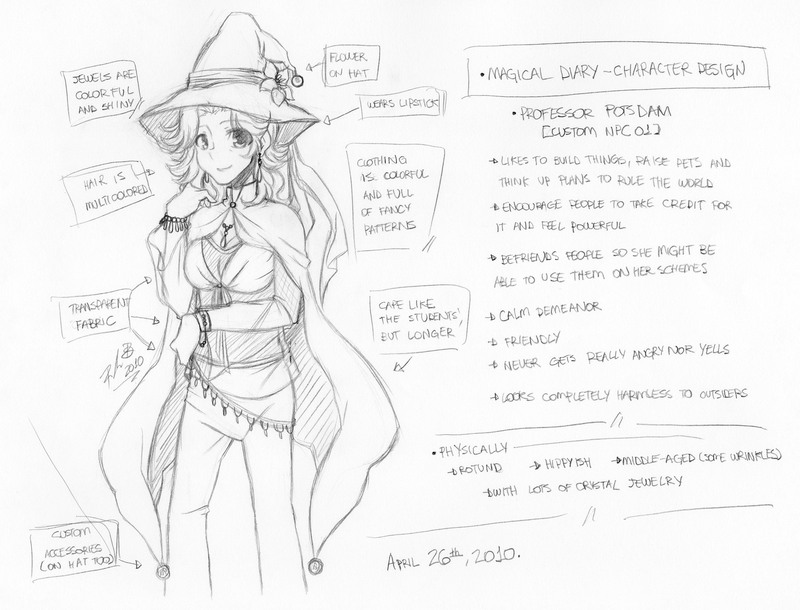 In the early concept notes that Hanako released she liked to "build things, raise pets and think up plans to take over the world". These notes were apparently outdated but still, makes you wonder, is that one of the outdated parts or is she still a world dominating villain waiting to happen? Something I noticed was that at the end of Damien's route she gave you a warning that sounded like it came from experience. I hope that we learn more about her in the sequel. ark99k wrote: Something I noticed was that at the end of Damien's route she gave you a warning that sounded like it came from experience. I hope that we learn more about her in the sequel. I think you're focusing on the wrong thing we learn about Potsdam at the end of Damien's route. "Intervene when a kid is pursuing an abusive relationship with a terrifying demon? Now what would I learn from doing that? :3"
She wasn't giving you that type of warning though! She said to be one step ahead of him, not "STAY AWAY!" or something of the sort. HER HAIR CAUGHT ON FIRE? When?